Aeriel Beit Guvrin. Photo ©Leon Mauldin. An underground system of caves and tunnels was discovered where Jewish rebels hid from the Romans during the Second Jewish Revolt against Rome in the second century A.D. (132-135). The Roman army was stationed in and around the city during this time. 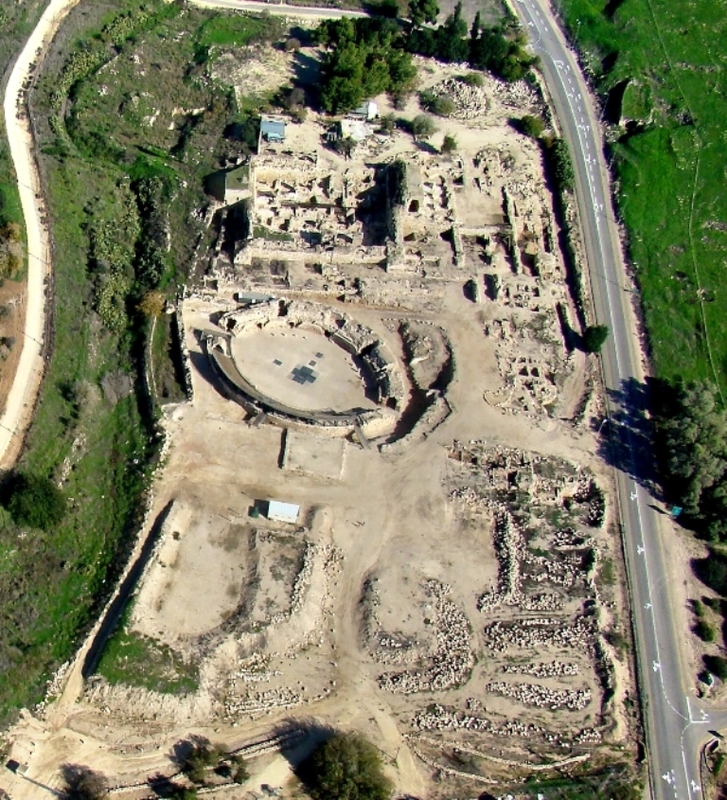 At Beit Guvrin an amphitheater has been excavated which can easily be seen in our photo (center). It was first identified in 1981 during an archaeological-architectural survey of Beth Guvrin. Under the direction of Amos Kloner and A. Hubsch, large-scale excavations were conducted from 1993 to 1995. Maximum measurements are 71 by 56 meters. Gladiatorial contests, animal hunting exhibitions, contests between beasts and men as well as other forms of entertainment were conducted here. “The construction of the amphitheater stemmed from the presence of these Roman army units in the area and the rebuilding of the city” (The New Encyclopedia of Archaeological Excavations in the Holy Land, Vol. 5, p. 1607). 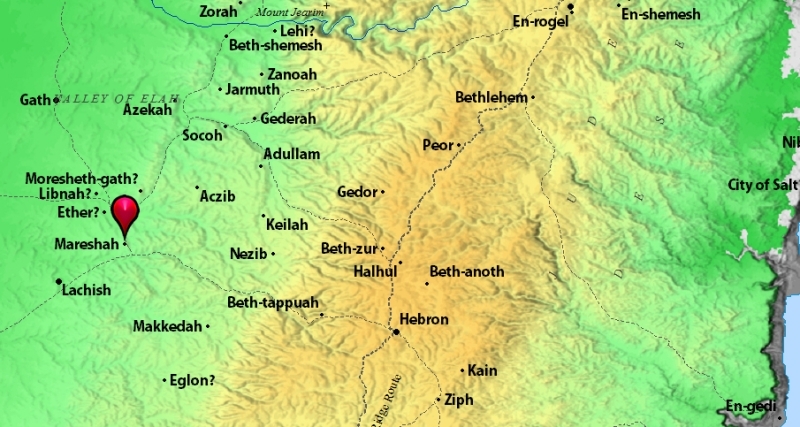 Beit Guvrin is about 1 1/2 miles north of biblical Mareshah, of the Shephelah. See map for orientation. Click on map/photo for larger image & higher resolution. This entry was posted on Tuesday, November 2nd, 2010 at 11:42 PM and is filed under aerial photos, Bible History and Geography, Bible Study, Uncategorized. You can follow any responses to this entry through the RSS 2.0 feed. You can leave a response, or trackback from your own site.